Who am I? Why am I here? And for what purpose do I exist? These are all fundamental questions for the spiritual seeker, the searcher after truth. 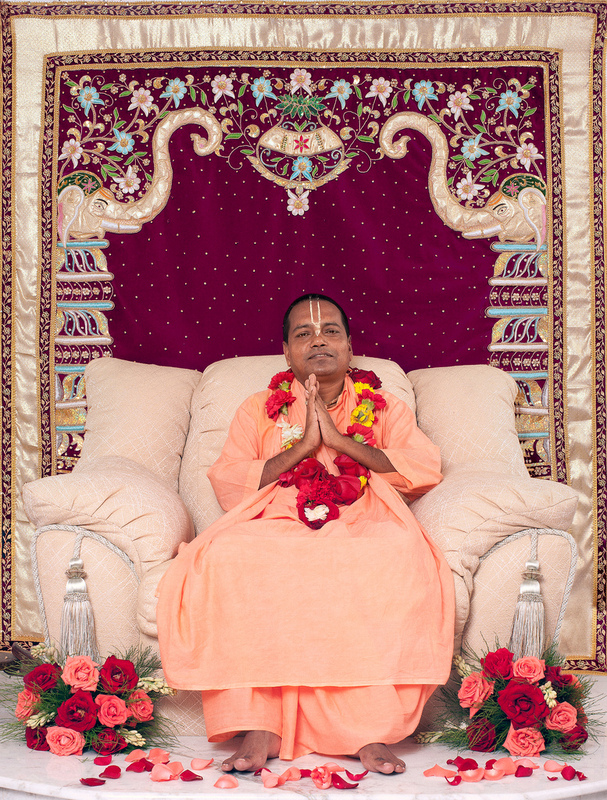 The Teachings of Sri Chaitanya Saraswat Math are founded in the Vedic Scriptures, the ancient Scriptures of India, the oldest and most comprehensive spiritual teachings known to mankind. ‘Veda’ means ‘knowledge’ or simply ‘to know’ and the Vedic literature is revealed truth from the Divine plane. The greatest teacher of Vedic knowledge is the 16th Century Avatar and Saint, Sri Krishna Chaitanya who began the spiritual mission of Sri Krishna Sankirttan and revealed the religion for this age of quarrel and hypocrisy, the Kali-yuga, to be the Universal Church of the Chanting of the Holy Names of God. Lord Chaitanya answers our fundamental spiritual questions and goes on to show us the highest path of spiritual attainment, Sri Krishna Prema, or Ecstatic Love of God. We are not this gross, temporary body of flesh and blood, nor are we the subtle mind and intelligence but rather we are the indwelling, ever existent spiritual being known as the atma or jiva-soul. We are here to understand the nature of our existence, the method of our salvation and the fulfilment of our spiritual potential. Currently the web of illusion or maya covers us and so we think this transient, mortal existence to be the all in all and in our illusion we strive for happiness by the pursuit of material elevation. Wealth, power and sensual pleasure are our goals and as a result we are covered more and more by the darkness of ignorance. But inwardly we feel no real satisfaction and we hanker for something more. The Vedic Scriptures, headed by Srimad Bhagavatam and Bhagavad-Gita, establish that the highest revelation of Divinity is Krishna, the ever youthful and beautiful Reality, the Supreme Person and cause of all causes—the Godhead, the One Absolute Truth and we are all separated, atomic parts of that Divinity, created for a life of loving ecstasy in eternal communion with Him. But first we must awaken and shake off the illusion that separates us from our Lord and the fulfilment of our ultimate spiritual prospect. 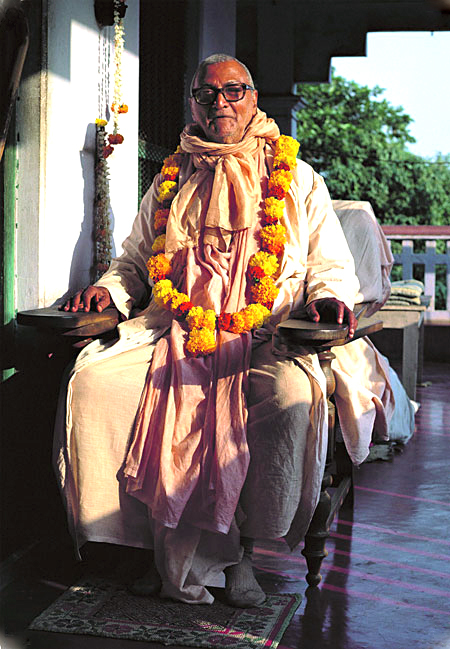 Lord Chaitanya Himself, left only eight verses of spiritual instruction known as the ‘Siksatakam’ and his followers headed by the Six Goswamis of Vrindavan and in more recent times, Bhaktivinoda Thakur, Bhaktisiddhanta Saraswati, Bhaktivedanta Swami Maharaj, our Guru Maharaj—Bhakti Rakshak Sridhar Maharaj and his successor Bhakti Sundar Govinda Maharaj have produced volumes of literature based on these eight verses. 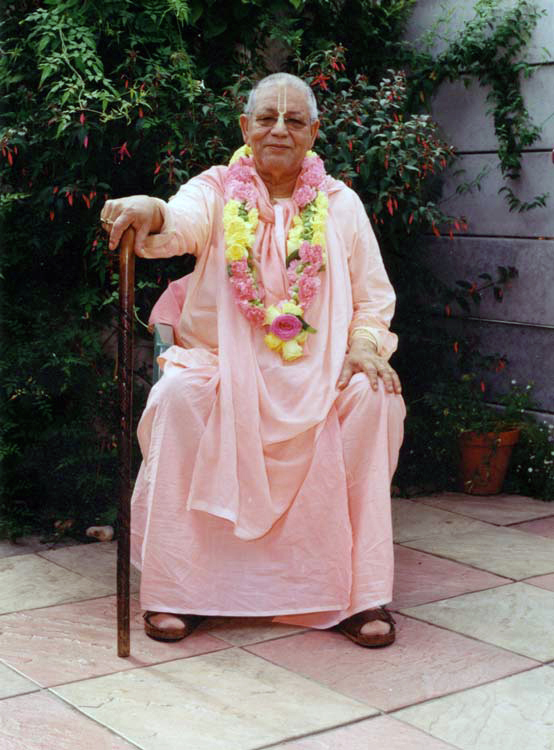 The teachings of the Sri Chaitanya Saraswat Math are a particularly beautiful and charming presentation of the path of Devotion in the most unique and eloquent style of Srila Sridhar Maharaj, the great Guardian of Devotion. This line is continued today by Srila Govinda Maharaj his foremost disciple and chosen successor, the latest Spiritual Master in the disiplic line of Lord Chaitanya.